I love to pick up pennies—whether they’re on heads or tails—because I know the power of a penny. After all, pennies have helped us grow into being a nationally recognized, award-winning school district. When you make a purchase on which you pay sales tax in Cherokee County, you’re investing a penny in our schools and in the future of our community. More than 95 percent of all Georgia counties pay 7 or 8 percent sales tax for a variety of needs. In Cherokee, we pay only 6 percent, and one of those pennies goes directly to our schools through the Education Special Purpose Local Option Sales Tax, or Ed SPLOST for short. In 2000, a Blue Ribbon Committee of business, civic and elected leaders recommended our community use an Ed SPLOST to build a better school district. Voters agreed and since have voted twice to continue the Ed SPLOST. We’ve invested these pennies over the past 15 years, and I think we’ve invested them wisely. This fall, from early voting this month through Election Day on Nov. 8, you’ll be asked on your ballot whether to continue the Ed SPLOST for another five years. I can’t tell you how to vote, but I can tell you what we’ve done with the Ed SPLOST and what we’ll continue to do if it’s renewed. We built schools—19 new and replacement schools— to keep up with our community’s explosive growth. We also expanded and renovated older schools to ensure that all children attend a safe, well-lit and updated school, no matter their ZIP code. We constructed technology infrastructure not only in classrooms, but also underground, to provide students and teachers with the hardware, software and connectivity needed for success. We purchased new school buses to replace those that have logged a lifetime of miles. We acquired land for new schools in anticipation of the return of housing growth, which is again transforming fields into neighborhoods. At the same time, we’ve been retiring the “mortgage” incurred by the necessity of building so many schools to answer our county’s rapid growth. We’re on track to pay it off by 2033, and the new projects we’ve planned for the Ed SPLOST renewal won’t extend this timeline. • New construction projects. This includes a 24-classroom addition at Mill Creek Middle School, a 20-classroom addition at Woodstock Middle School and an auxiliary gym for PE classes at Woodstock High School. • Major renovations and repairs. The proposed upgrades would benefit every school in the district. Work would range from installing new roofs to upgrading HVAC systems. You may have already heard from a football, lacrosse, soccer or marching band fan in your family that the renewal proposal includes installing artificial turf in all high school stadiums. Replacing grass with artificial turf not only would enhance safety for student-athletes and efficiency of usage and upkeep, but the installation also pays for itself through reduced maintenance costs and frees up $110,000 a year to spend in classrooms. • Continued investment in technology. With little state funding for technology, Ed SPLOST remains the main revenue source for technology-related infrastructure and equipment to further academic achievement and increase operational efficiency. • Continued replacement of school buses. We need to replace at least 30 aging buses a year over the next five years, and this is another area for which Ed SPLOST serves as the main source of funding. • Continued land acquisition. As residential development quickly returns to our community, so does the need to purchase future school sites to stay ahead of this growth. Ed SPLOST revenue remains the main source of this funding, too. Without the Ed SPLOST, we’d have no source of funding for these needs, and our property tax rate would increase. The Ed SPLOST offers our community the option of funding these needs through a tax that visitors and residents alike pay based on purchases instead of through a property tax increase. When you’re driving around our community this fall, please notice the fantastic new/replacement Dean Rusk, Teasley and E.T. 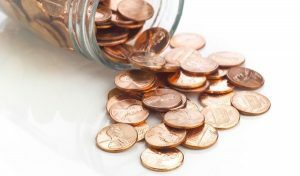 Booth middle schools, the well-maintained schools in every corner of our county, the school buses on the road and the students whose backpacks carry books along with learning devices and whose minds are connected to the world—all because of your investment and the power of a penny!